Josh has a wide breadth of experience that he has gained on over 20 international expeditions in 9 countries. He has climbed and skied big routes in the Himalaya, Karakoram, Northern Andes, Coast Range (BC), Patagonia, and the Arctic. He has put up significant first ascents on alpine walls up to 3,000 feet high in some of the most remote corners on the planet. With his personal expedition experience serving as the backbone of his career, Josh has focused his efforts in outdoor education on sharing the lessons that he has learned in the mountains with his students. He has honed his craft while working as a Guide for Exum Mountain Guides, an Instructor at the University of Utah, as a Senior NOLS Instructor, and as an instructor for various organizations throughout the country. Josh created the School for International Expedition Training with a vision to train aspiring mountain guides and outdoor educators so that they can learn the risk management skills they need to stack the odds in their favor while developing their skills. He feels that the expedition is the perfect medium for grappling with, and understanding life’s greatest lessons, and he loves mentoring students through that process! During his 9 year tenure with NOLS, Josh played an integral part in developing the NOLS rock climbing program in Argentina and served as a Program Supervisor for the Mountaineering and Rock Climbing Program in the US. He helped develop the rock rescue program and protocols and has authored numerous articles for the institution. Josh received his BA in Environmental Studies from the University of Montana, is an AMGA/IFMGA Guide (Certified in Rock, Alpine, Ski), AMGA SPI Course/Exam Provider, holds a Level 3 Avalanche Certification, is an AAA Pro Member, holds a current WFR and CPR, is an Adjunct Instructor for Green Mountain College and the University of Utah, and has received 2 awards from the American Alpine Club for his international climbing endeavors. Nate’s prolific mountaineering resume is perfectly balanced with his comprehensive background in wilderness education. This balance is what makes him one of the most well-rounded instructors in the industry. He has climbed over 20 big walls in excellent style- more than half of those routes were first ascents, done solo or completed in a single push. The Nose of El Capitan in-a-day (32 pitches) and a 39 hour first ascent of the Ivory Pillar in Greenland are just a couple examples of Nate’s climbing accomplishments. He has also climbed on a number of international expeditions including ascents in Peru, Argentina, Chile, Greenland, Alaska and Canada. Nate has worked in the field of wilderness education since 1997. He is currently an Assistant Professor at Green Mountain College in Vermont. He has worked with both Outward Bound and NOLS and with numerous University-based outdoor programs. He is an AMGA certified Rock Guide and has an AIARE level 2 certification. Nate’s research interests include student learning mechanisms in wilderness education and the influence of intuition in judgment and decision-making in outdoor recreation. His most central passion in the outdoors is climbing splitter granite cracks far above a glacier and sharing the beautiful world of mountaineering with others. We are very excited to have Nate’s depth of experience and passion at SIET. Marisol is an enthusiast of both movement and education, and has been teaching in wilderness and urban settings for over 15 years. Marisol wears multiple hats with the School for International Expedition Training, two of which include Logistics Coordinator and Assistant Instructor. Marisol also guides for Exum Mountain Guides in Jackson, Wyoming, and instructed for NOLS for 8 years. She holds a B.A. in Spanish Literature from Western Washington University and enjoys climbing, mountaineering, traveling, pilates, and yoga. In addition to teaching backpacking, canyoneering, and climbing for NOLS, Marisol has taught for the High Mountain Institute, University of California at San Francisco’s Outdoor Program, Lick-Wilmerding High School, Green Mountain College, and the University of Utah’s Parks, Recreation, and Tourism department. She has lived and studied abroad in many countries including Spain, Guatemala, Chile, and has spent a number of seasons climbing in Peru. She has completed the AMGA Rock Guide Course and SPI Course. Marisol is currently working towards a Doctorates in Physical Therapy at the University of Utah. Jed Porter is an accomplished climber, skier and mountain guide with education in his blood. It was in his early dirtbag climber days, well before his professional mountain career came together, that Jed and SIET founder Josh Beckner met while substitute teaching in Bishop, California. Jed has also worked in summer camps, with University Outdoor Education programs, and as an avalanche instructor. We at SIET are excited to have Jed now combining his love of education and deep alpine climbing experience in our Peruvian climbing programs. Jed has practiced his high-mountain craft on all corners of North America, including expeditions to Greenland and Mexico (also with Josh), on six trips to Alaska, and multiple visits to the wild peaks of Canada. In the contiguous states, Jed has extensive experience in Colorado, the Tetons, the High Sierra of California, and in Washington’s North Cascades. 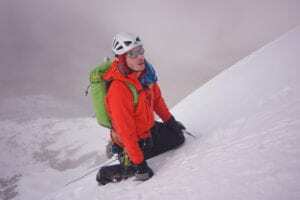 At one point Jed held the rare distinction of having participated in every type of outdoor course the American Mountain Guides Association had ever offered. 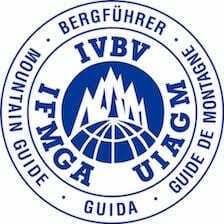 He started his guiding education in 2005 with the Top Rope Site Manager Course, and plugged away at courses and exams all the way through 2013, when he became the 85th American to earn full international guiding certification as recognized by the IFMGA. After stints in the military, the corporate world, and a Zen monastery, Kel began his climbing career in the Pacific Northwest back in the 90’s with an all-cotton summit of Mt. Adams in his home state Washington. Fortunately he went on to get appropriate training and since then he has had the good fortune to climb and guide rock and ice in twelve different countries on four continents. He first came to the Northeast to earn an M.S. in Outdoor Education from the University of New Hampshire, and quickly fell in love with the ecological richness, sense of scale, and feeling of community he felt in this corner of the country. After working as the Director of Georgetown University’s Outdoor Education program for three years, he returned to the Northeast to teach in Lyndon State College’s (VT) Mountain Recreation Managemment department. Subsequently, he and his wife Alysse relocated to “Vermont’s West Coast,” Burlington so that he could finish up his doctoral studies at the University of Vermont and they both could pursue new career adventures. In addition to partnering with private individuals and groups as the owner and lead guide for Adventure Spirit Rock+Ice+Alpine Experiences, he also remains active in higher education, instructing with Vermont State Colleges and the University of Vermont. And when summer rolls around, he gets back to his West Coast roots, guiding on Mt. Rainier with Rainier Mountaineering Incorporated and in the North Cascades with his own guide service. Kel’s passion for sharing the outdoors with others is matched by his interest in the learning processes involved in the adventure environment. He strongly believes that an effective guide must have a solid understanding of both technical skills and learning processes. 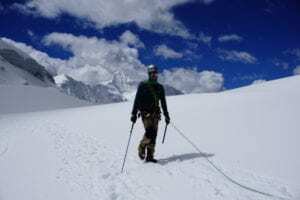 He backs that belief up with action: Advancing his own technical skills in becoming a Certified Alpine Guide and Certified Rock Guide with the American Mountain Guides Association and earning a doctoral degree in Educational Leadership and Policy Studies. Through his guiding, he works to integrate these experiences in the outdoor classroom. As with so many adventure professionals, his personal life is strongly infused with elements of climbing. When he isn’t guide-instructing, he’s off advancing his skills on adventures of his own. He brings this learning back to the frontcountry through writing. His work has appeared in Climbing Magazine, Alpinist Magazine Mountain Standards, The Seattle Times, and The Wall Street Journal, among others. He also blogs frequently with Mammut, where he is an Athlete/Ambassador. Committed to being an engaged member of the climbing community he is a board member with the Climbing Resource Access Group of Vermont (CRAG-VT). Despite all of this activity, and the many paths he’s traveled so far on this journey, he still believes in the power of quietude, and works to keep meditation as a vital part of life’s adventure. He looks forward to sharing that adventure with you! Brian Smith is an Exum Lead Guide and an Internationally Certified AMGA/IFMGA Mountain Guide. He has been climbing for over 20 years, skiing for 34 years, and guiding at Exum Mountain Guides for the past 13 years. Brian has lived in Jackson Hole since 1998, ski guides for the Alpine Guides at Jackson Hole Mountain Resort, teaches avalanche courses for the American Avalanche Institute, was a ski patroller at Jackson Hole Mountain Resort, and used to lead rock and mountaineering courses for the National Outdoor Leadership School (NOLS). Brian also holds certifications in Avalanche Level III, Outdoor Emergency Care (OEC), and CPR. 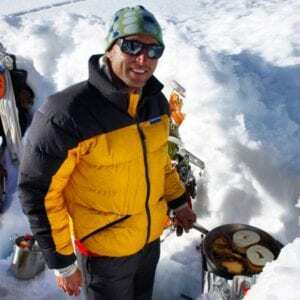 He has climbed and skied extensively in the Western US, Alaska, and the Canadian Rockies, with expeditions to Denali, Mount Hunter, and the Cordillera Blanca in Peru. 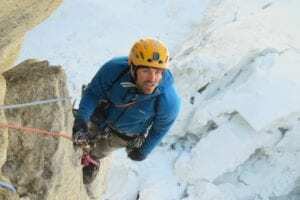 Beyond the Tetons, Brian has guided rock climbing in the Wind River Wilderness, City of Rocks, Red Rock National Conservation Area, Eldorado Canyon, Boulder Canyon, RMNP, Castle Valley, Moab, and Indian Creek. He has also guided ice climbing in the South Fork of the Shoshone, just outside of Cody, Wyoming. Brian has skied off the summit of the Grand Teton three times, one of which was a co-guided ski descent. Brian has also climbed the Regular Northwest Face of Half Dome in a day and recently completed a one-day traverse of the Cirque of the Towers in the Wind River Wilderness. Brian’s greatest accomplishment, however, is being a dad, and he enjoys spending as much time as possible with his three-year old daughter Stella, bouldering, bike riding, fly fishing, and skiing! Ben Venter began his career as an outdoor educator in 2002. He was active in the Outdoor Education program at Colgate University where he instructed rock and ice climbing, back packing, skiing, trail running and survival classes. He balanced leading trips and climbing in the Adirondacks and Gunks with a major in Geography and a Geology minor. Ben is a senior field instructor for NOLS and has spent over 140 weeks working for the school in various locations around the world. 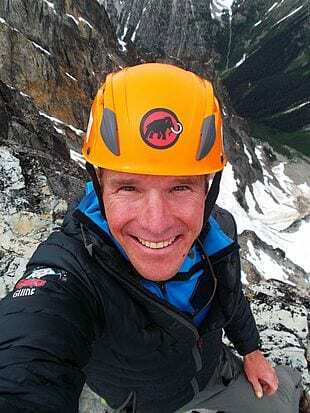 He has worked mountaineering courses in the Cascades, Tetons, Wind River Range, Chilean Andes, the Coast Range of British Columbia, the Waddington Range and the Arrowsmith Range in New Zealand. 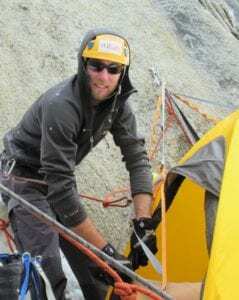 Ben also works rock climbing, skiing and backpacking courses for NOLS. As a Program Supervisor at NOLS Southwest, Ben oversaw the climbing program for two and a half years and was responsible for providing rescue trainings to staff and supervising the Instructor Courses and Seminars. Ben is passionate about climbing long routes in the mountains. His favorite destinations include the Patagonian Andes, the Karakoram, the Bugaboos and California’s High Sierra. He was the recipient of the American Alpine club Mountain Fellowship award for promising young alpinists as well as the Lyman Spitzer Cutting Edge Climbing Award. Ben has completed the AMGA Single Pitch, Rock Instructor and Andvanced Rock Guide programs. He holds a NOLS Level 2 professional avalanche certification and is a Wilderness EMT. He is currently working towards a Doctorate in Pysical Therapy.